If you’ve played Metal Gear Solid 3: Snake Eater, you might remember the Calorie Mate energy supplement snacks. 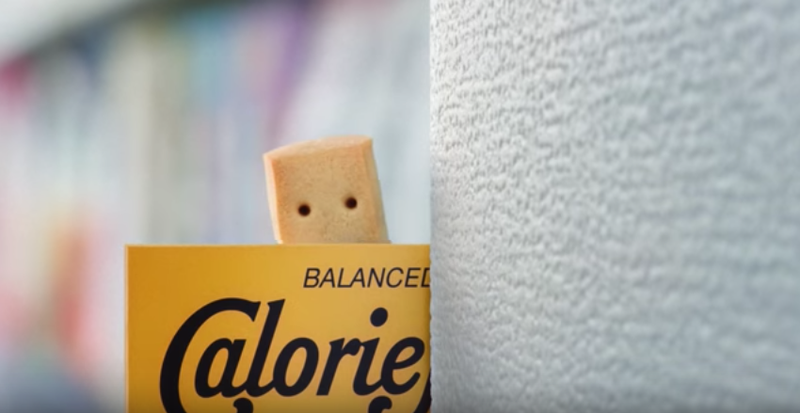 Fast forward to 2017 as Snake’s Japanese voice actor Akio Otsuka is now lending his talents to Calorie Mate’s latest ad campaign. Make sense, because in Metal Gear Solid 3, there are extended conversations about Calorie Mate. Back when Snake Eater came out, there were also Metal Gear ads for Calorie Mate. But this time around, Snake or Metal Gear Solid aren’t mentioned at all. It wasn’t necessary, because fans are in on the joke. Plus, this is not officially a Metal Gear commercial, but rather, a parody of sorts. The woman does notice...that Calorie Mate Jelly is a balanced energy supplement. Wonder if Konami is going to notice. Heh.